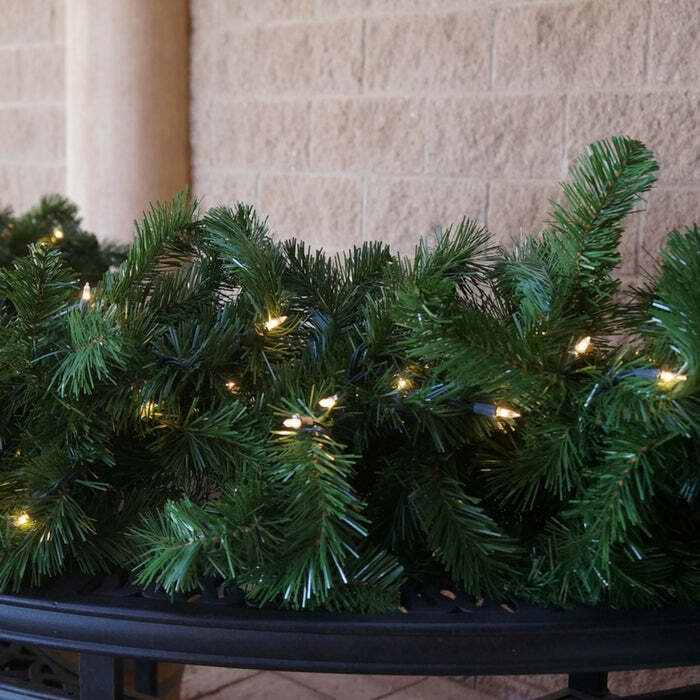 Our lush Oregon fir commercial grade 300 tip garland complete with 150 incandescent lights is a great accent for your Christmas and holiday decor. The diameter measurement is tip to tip after you fluff the branches a bit after arrival. It will come shipped in compact packaging to ensure its safety in travel.